Leaving Comments: On-site comments are disabled at Irish Eyes. 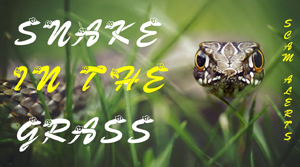 To send a comment or message, click here. Updates: To receive notification when Irish Eyes is updated, click here. *Writing for The Crypt Artist. Every year, I put together a digital holiday greeting which I send to family and friends (via a post on Facebook). I always include my "kids" (pets). This year was bittersweet as it's the first time in more than a decade that Kiki was not included. Joyeux Noel, Merii Kurisumasu, Milad Majid, Feliz Navidad, Hristos Razdajetsja, or Nollaig Shona dhuit. Torn Bits & Pieces has been re-issued with three new poems, which were recently unearthed in a storage box. A few months ago, a long-forgotten box of items were returned to me after many years. 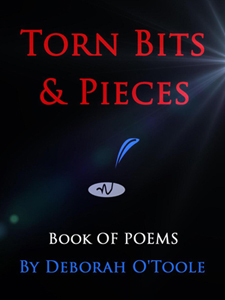 In turn, I decided to include the three poems found inside to the current updated edition of Torn Bits & Pieces. The newly discovered poems are I Will Never Marry, J.D. and Mind Control. The book also includes Collective Obsessions (a poetic rendering based on the fictional saga of the same name by Deidre Dalton, aka Deborah O'Toole). Torn Bits & Pieces is now available at Amazon, Barnes & Noble and Kobo Books. I joined Facebook a decade ago, in November 2008. I have a page just for author-related business, and another for personal interaction. For the most part, the venture has been quite agreeable. Apart from scores of encounters with scammers (more on that later), the experience has been a good one as I remain connected to family members and friends, as well as those who enjoy reading my books. After Facebook came Twitter (where I post or re-tweet mainly political mumbo nowadays), along with Google+, Pinterest and You Tube. While all very useful in their own way, the main attraction for various social media platforms appears to be the "freeness" of it all. None of the above mentioned costs a dime to join and use. About a week ago, I created an account at Instagram. I'm late in joining this particular social platform, mainly because I'm not too savvy in using my cell phone just yet. I'm barely learning the ropes. I'm terrible at taking pictures with the mobile, and using the video camera feature has been tentative at best so far. Hopefully, time will improve my skills. Back to the scammers. More than a year ago, I was assailed by what is known as a "romance" scammer on Facebook. I was never taken by this person (my natural suspicious nature serving me well in this case), but his actions infuriated me. Enough so it led me into going back after these types of online scum. 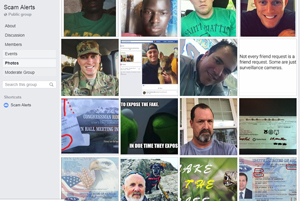 I joined forces with a few of my friends in trapping and exposing almost a dozen lowlifes, splashing their details on a Facebook group I created known as Snake in the Grass: Scam Alerts. In the process, I angered quite a few of the scammers. Somehow or other, one of them got a hold of my private telephone number, calling me at all hours of the night and hounding me online. It took me months to get rid of him, but I know he is still lurking nearby, still on the fringes of my life. In the process of all this, I learned some valuable lessons about human nature and the fragility of honest interaction between some people. The extremely heavy influx of scammers and other disingenuous individuals almost made me lose my faith in humanity this year, but not quite. To that end, I've since stopped luring scammers because it was not only taking up too much time, it seemed my efforts barely made a dent in the vast pool of bottom-feeders. However, my overall experience with social media has been tremendous. It's the quickest way to communicate with family, friends and readers. It can also be wildly amusing on so many levels. Apart from the scammers, I have met some extraordinary people, some of whom will hopefully remain friends for life. The good far outweighs the bad. 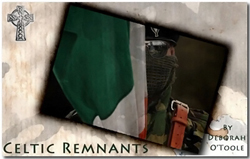 Celtic Remnants has been taken on by Club Lighthouse Publishing. 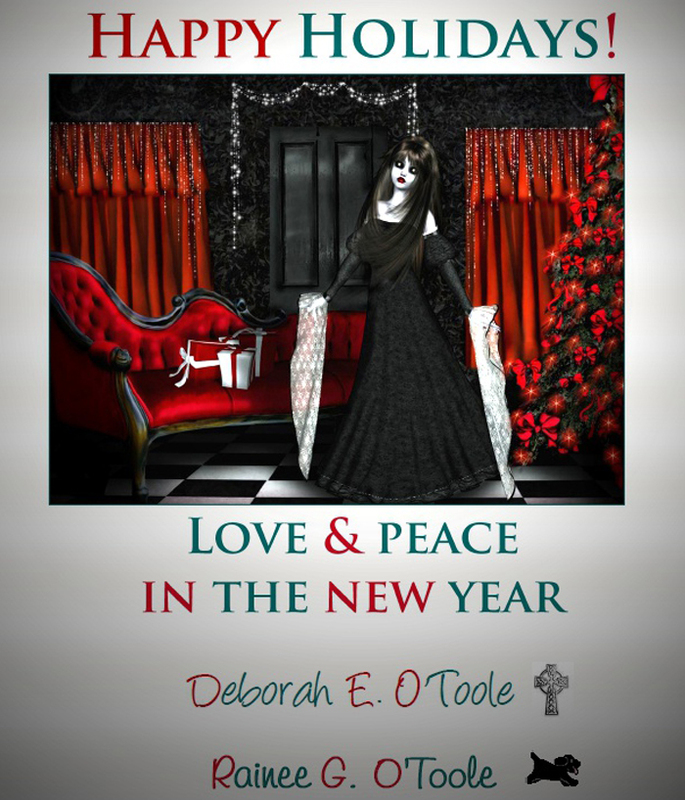 The novel will be released in both electronic and print editions in 2019. I just signed the contract a few hours ago, and I'm as happy as a clam. 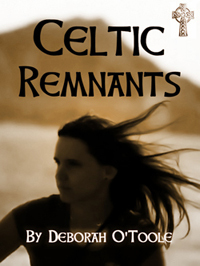 Celtic Remnants was previously released by Tyborne Hill and available on Amazon, Barnes & Noble and Kobo Books from 2013-2018. During that time, the novel was reviewed several times and was also the subject of an online interview undertaken by me with Writers Alive/Blog Talk Radio. Celtic Remnants by Deborah O'Toole is a novel of enduring love and betrayal set in the political turbulence of Ireland, glamour of London and the wilds of Scotland. A young girl is shaped by horrific events which change her life forever. After Ava's brother and parents are killed by British soldiers, she vows to avenge their deaths as she picks up the pieces of her shattered world. Before she can move on, Ava falls in love with handsome nobleman David Lancaster, eldest son of a belted Earl. Their relationship ends dramatically when his family refuses to accept her. Afterward, Ava sets her life on a course of violent revenge in the name of political justice with her childhood friend, Tim O'Casey. Unable to forget Ava, David hires a private investigator to look for her years later. When he finds her, Ava is hardened by more than a decade on the run and wants nothing to do with him. However, after being injured during an ambush in the English countryside, Ava and Tim go to David for help. He spirits them off to a remote Scottish hunting lodge to heal. Momentarily safe amidst the rugged beauty, Ava begins to wonder if she can give up her deeply-felt political beliefs to build a normal life with David. Or will happiness forever elude them? Can Ava relinquish her political convictions, even for love? I adore Terrie and James at Club Lighthouse Publishing. They have put up with me for many years, and now it looks like our time together will be extended. I'm very happy about it. As I've said before, it never gets old to be published. Never. Unfortunately, I've had to revise the finish dates on all of my works in progress. Various events during 2018 took a vast amount of my time. However, I've brought myself around and extricated myself from certain situations. I'll try not to allow personal diversions to take too much of my attention again. As per my usual notation, storylines, estimated release dates and book cover designs may be subject to change (yet again). The paperback edition of Megan's Legacy, 8th and final book in the Collective Obsessions Saga (written by me as Deidre Dalton) will be released in early December. This brings the family saga full circle, all titles now available in both e-book and print versions. While The Twain Shall Meet (book #3) remains my personal favorite in the series, Megan's Legacy runs a very close second. The Collective Obsessions Saga is finally complete. I can't believe I'm saying the words. I sent the manuscript for Megan's Legacy, which is the eighth and final part of the saga, to my publisher this afternoon. The final draft of book eight came in at 265 pages with a word count of 114,403. The last few days were exhilarating for me, being fully aware the end of the line was near. Considering I began writing the storyline many years ago, I'm stunned rather speechless that it's finished, once and for all. Even better, I'm very happy with the way the story ended. A few months ago I envisioned agonizing over the finale, but it didn't happen that way. I knew exactly where I wanted to go, and that's where I took the story and its characters. It's been a very long haul indeed, but well worth it. I've probably said it many times before, but writing and finishing the Collective Obsessions Saga has been deeply satisfying in all ways that truly matter to me. The saga is now well and truly finished. 02/18/19 My Darling Girl Rainee 2004-2019 . . .
12/19/18 Holiday Nods Seasons greetings . . .
12/18/18 Poetry in Motion Unearthed . 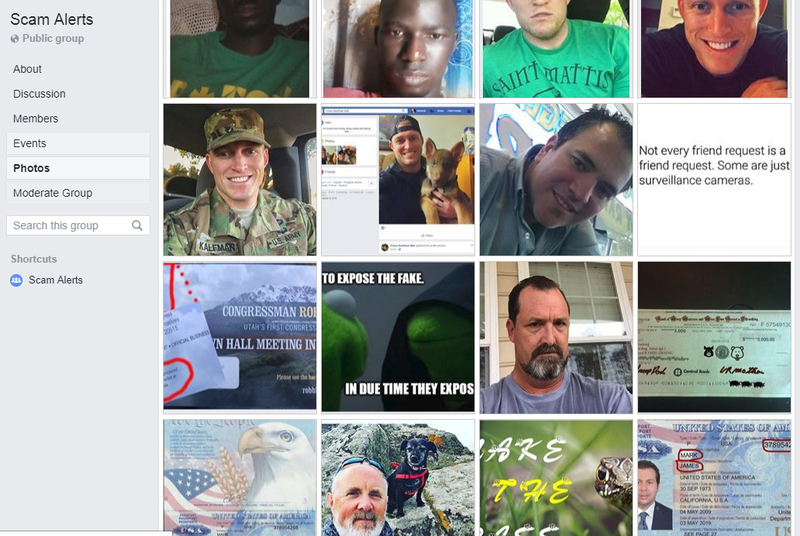 . .
12/15/18 Social Media Et Al Online interaction . . .
12/03/18 Celtic Remnants with CLP I'm as happy as a clam . . .
11/29/18 Release Revisions I've had to revise the finish dates on all of my works . 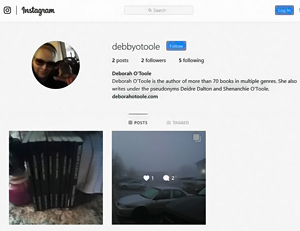 . .
©2019 Deborah O'Toole | Webmaster: Webs Divine | Template based on a design by Styleshout.